Add romance to your event with these beautiful candle lanterns, perfcebt for indoors or out. 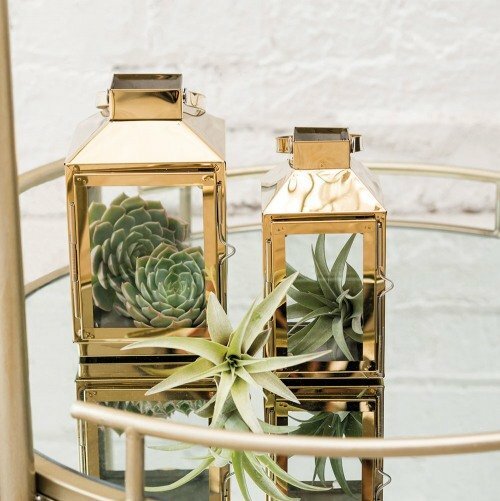 Coming in two sizes, these gorgeous gold metal and clear glass panes makes this decorative lantern an elegant way to light the way for your guests. Combine several of these versatile lantern lights together as a table centerpiece or suspend them from overhead for a classy accent at any celebration.